Zombie Dice was one of the first of the newer games I purchased. with a B-movie horror theme. to quickly check what each new symbol indicates. 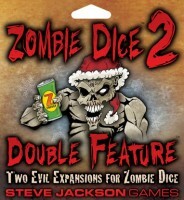 Add a Review for "Zombie Dice 2: Double Feature"